A ribbon cutting was held to celebrate the Grand Opening of Seven- An American Bistro. A new American Restaurant-Gastropub. Frank Carnivale (center, holding scissors) and wife Dawn are in the middle of a major renovation at the Park Manor Hotel near Exit 9 (formerly the Comfort Suites). 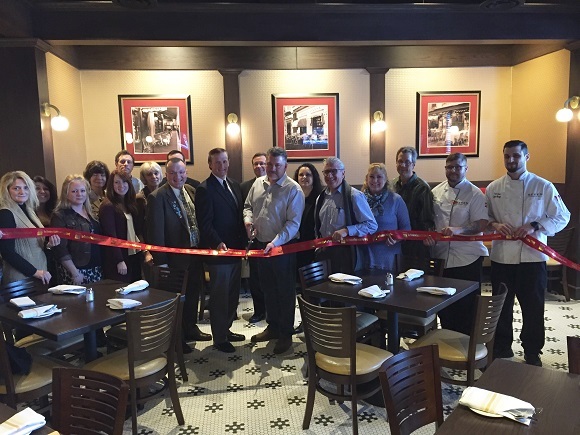 This past February the CSSC staff and volunteer Ambassadors joined Clifton Park Town Supervisor Phil Barrett, Assemblyman Jim Tedisco, and Senator Hugh Farley’s representative Mike Mansion in dedicating a new American bistro, called Seven, at their 7 Northside Drive location. Seven offers breakfast, lunch and dinner, and room service! It’s a great venue for a business lunch, an afternoon drink, or a pleasant social evening. For more information on the Park Manor Hotel and Seven restaurant visit www.theparkmanorhotel.com .